ISK directs its courses towards all students of German as a Foreign Language: International firms, Ministries and Embassies and also school pupils, students, postgraduates etc. The various courses offered include: Reading comprehension and writing, listening comprehension and speaking (also considering vocational priorities), regular evaluation of your learning progress, accommodation in host families, excursions to companies or for getting to know Salzburg. Did you know that German is the most widely spoken language in Europe? Speaking and understanding German is an essential competitive advantage, in your job and also in your private life. 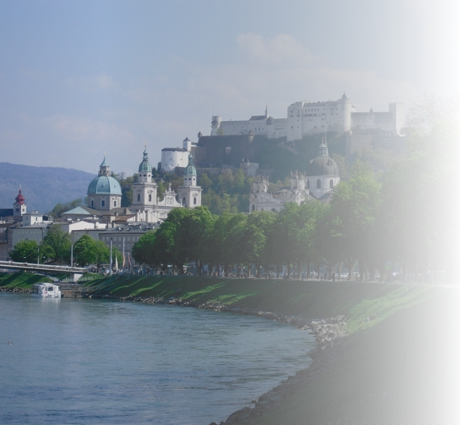 Why not learn German in one of the most beautiful cities in the world: in Salzburg at ISK. ISK is an examination centre for the “Austrian Language Diploma - German” which is also recognised in Germany and Switzerland. Benefit from highly qualified teachers, all of them being university graduates in German and foreign languages (OECD ISCED 5), holding a teacher’s certificate for secondary general and vocational education plus an additional qualification in teaching "German as a foreign language". GERS (Gemeinsamer Europäischer Referenzrahmen für Sprachen).